I don’t remember exactly but almost 2 years back I came across one of those “Must Have Thali’s In Mumbai” kinda article. Shree Thakkar Bhojanalay, Kalbadevi had topped the list & I was curious to know about the place. So the next search on google was “Shree Thakkar Bhojanalay Review” – The Vegetarian Bhukkad’s review link appeared on the top. I read that, liked what was written & bookmarked the place to be visited soon. Cut-To 12th August 2015, The Hive, Bandra. 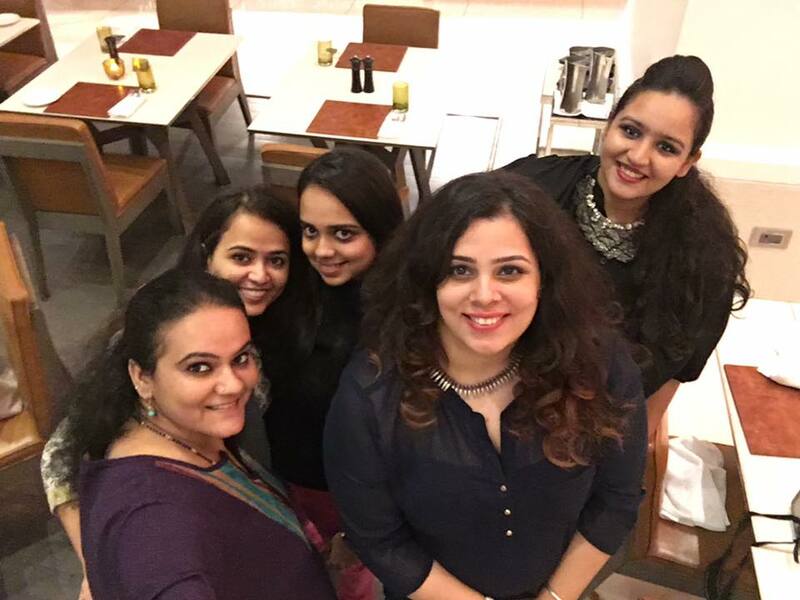 Zomato had recently started arranging meet-up’s & this one was hosted by Noodle Play. While I was being introduced to others present at the event, a super enthusiastic, plump, fair & pretty looking lady with a loud voice made entrance. She managed to get everyone’s attention & to my surprise almost everyone knew her. 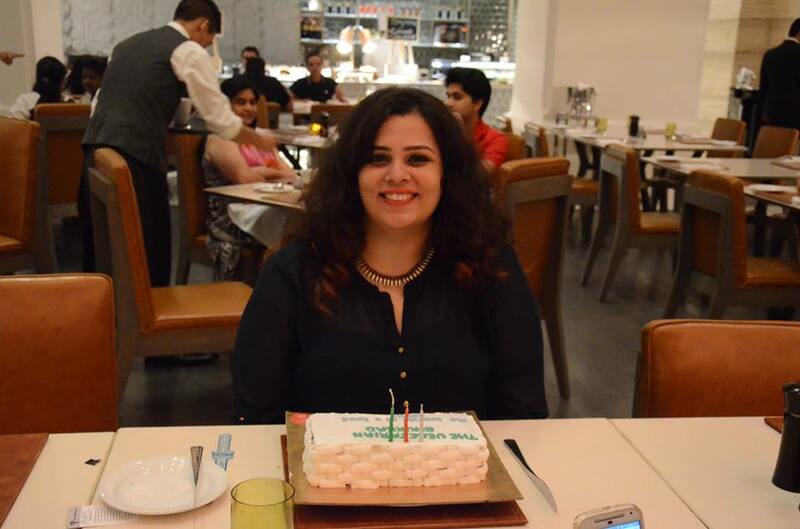 That girl was Sucheta – The Vegetarian Bhukkad. That evening we didn’t speak much but soon we connected on an email & thus began a great association. The ladies had already started their meal with some starters & chaat. Before settling down, I decided to take walk & making mental-notes on the MUST-HAVES for the evening. Since I had visited JWSahar earlier, I was looking for the awesomely lavish buffet spread. 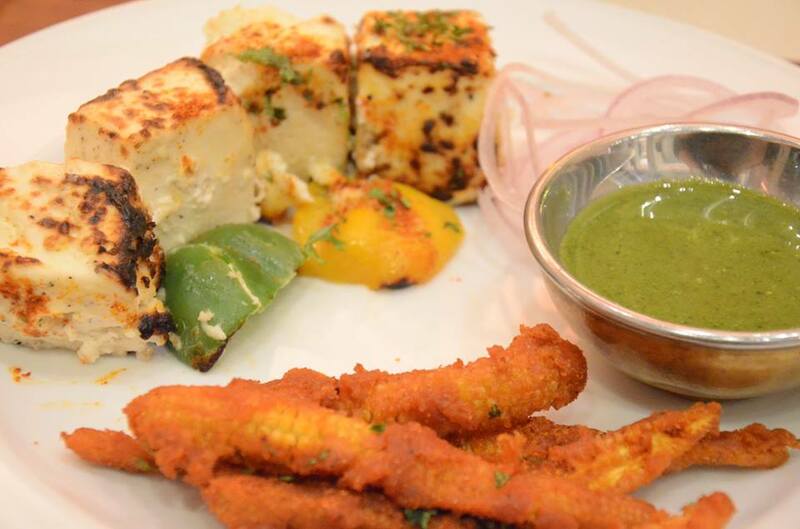 Some Kali Mirch ka Paneer Tikka, Baby Corn Basuley – batter-fired babycorn were enjoyed with the green chutney. After few spoons of the Bhelpuri served on the table, we raided the Chaat stall for a round of panipuri’s. I am absolutely snooty when it comes to Pani Puri – I like the maida puri with garam ragda & thanda paani. But have to say the pani puri here was really good. Khasta puri with boondi & thanda pani. The only reason I stopped was I had to devour the other delicious stuff. 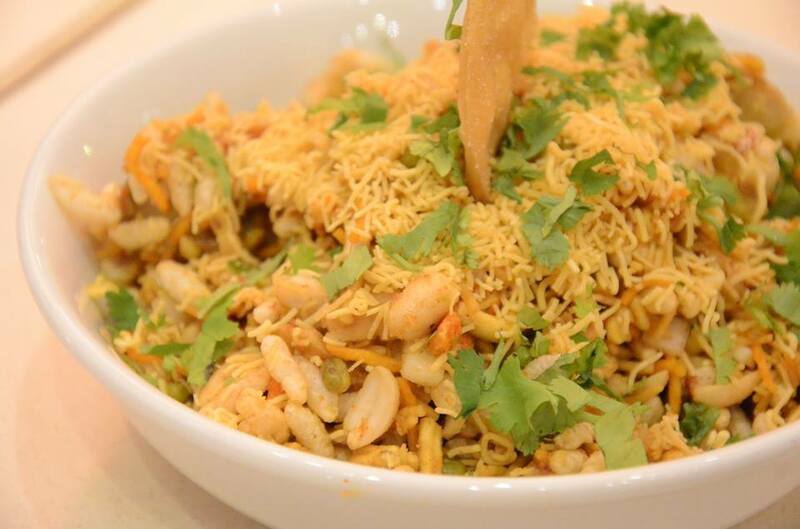 Also, the chaat section here has an elaborate offering, so it’s a must visit for all chaat lovers. Adjacent to the chaat is the Sushi counter. I tired the veg sushi being offered – a tempura one & the other had a cream cheese filling – and loved both of them. From the Mediterranean section I tasted – hummus, baba ganoush, tzatziki with some fresh pita. The hummus was a little tangy but the rest were perfect. A cranberry mango mocktail was served while we were enjoying the meal. It looked so pretty, I didn’t have the heart to sip it. But with a heavy heart it was mixed & sipped on. On Sucheta’s recommendation we also enjoyed the Old School Margarita – Cold Coffee with Chocolate shavings. Silky smooth with the perfect balance of chocolate & coffee, this was one sinful drink. My choice was the paneer sabzi, a dry baby potatoes sabzi (in a south-indian style I guess), the creamy dal makhani & soft-buttery naan. While we were enjoying the meal, we were served a superb omelet, which was just inquired about. The Chef was really sweet to make it for us. Dessert for me was the SINFUL Tiramisu by Chef Roberto Zorzoli (from Romanos, JW Sahar) who joined us in the celebration too. I didn’t try anything else & finished almost a whole serving which is good-enough for two. We ended the evening with a cake & loads of pictures. Though its been just a year that I know TVB, but its been a great journey. Would like to thank JW Sahar for hosting us & I wish Sucheta – The Vegetarian Bhukkad many more blog anniversaries like this & hope to be part of every single one of them.